Los Angeles-based insurance company Farmers Insurance launched a new VR training initiative in 2017, giving new claims adjusters the opportunity to immerse themselves in a variety of real-life work situations without stepping foot outside their office. In the past, the company has sent trainees to a specialized two-story training home in Los Angeles. However, this only allowed for employees to learn using a single floor plan and a small number of scenarios. 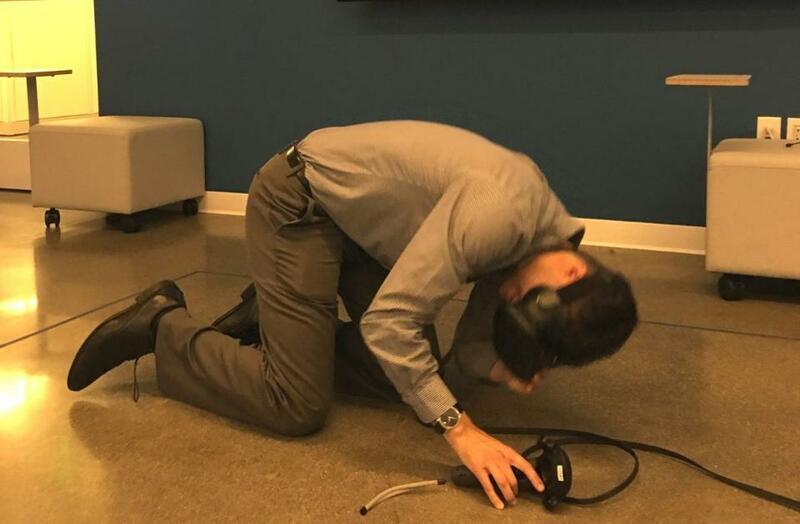 The VR training simulations, on the other hand, allow for employees to practice using six unique floor plans and 500 different damage scenarios (while also saving Farmers Insurance up to $300,000 a year in travel costs). While the company has yet to compare the outcomes from its VR training and traditional methods side-by-side, early feedback from trainees has proven to be overwhelmingly positive. In an effort to prepare new employees for massive Black Friday crowds, Walmart implemented virtual reality training scenarios at all 200 of its “Walmart Academy” training centers throughout 2017. Using an Oculus Rift VR headset, recruits are immersed in a variety of real-life scenarios, requiring them to make on the spot decisions which are evaluated in real time by both training supervisors and their peers. The company hopes to eventually roll out virtual reality training at all of its retail stores nationwide, with the hope that employees will complete routine VR modules year-round as a form of continuing education. Alongside Farmers Insurance and Walmart, UPS has similarly introduced a new VR component to their month-long training program for new delivery truck drivers. Wearing an HTC Vive VR headset, drivers must traverse a realistic city environment packed with obstacles and hazards, identifying and avoiding dangers along their trip. UPS hopes the VR simulations give new drivers the opportunity to learn lessons and make mistakes prior to actually hitting the road in a 10,000 pound truck, making their real-life road operations safer and more efficient than ever before. Want to read more about VR for learning? We recently joined Games for Change for a live webinar to discuss the unique affordances of VR as a learning tool, offer our perspectives on VR hardware adoption trends, and share best practices for VR learning games development. Check out our full insights here.